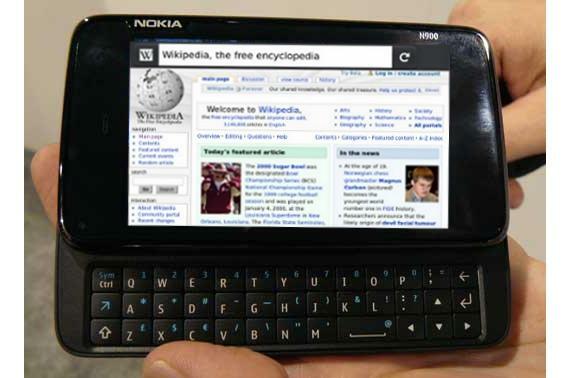 The mobile version of the Firefox browser is now available to owners of the Nokia N900 smartphone, after several months of beta tests. Mozilla is also working on versions for smartphones running Windows Mobile and Android. Features of the mobile version of Firefox include tabbed browsing and what Mozilla calls Weave Sync, which synchronizes a user's tabs, history, bookmarks and passwords between desktop and mobile browsers, according to a Mozilla blog post announcing the release of the mobile browser. Weave Sync is one of about 40 add-ons users can choose from. Others include an ad blocker and TwitterBar, which lets users post to Twitter from the address bar. There is also an add-on for watching Youtube videos. Mozilla removed integrated support for Flash from the browser at the last minute because it degraded performance, Mozilla wrote in an earlier blog posting about the browser's release candidate on Jan. 27. Windows Mobile appears likely to be the next operating system supported by for Firefox Mobile. Owners of smartphones such as the Samsung Omnia II, AT&T Touch Fuze and HTC Touch Pro can try out the Alpha 3 version of the browser, according to Mozilla's mobile platform Wiki. Mozilla is also in early development and testing of a version for the Android platform, the Wiki said. However, owners of the iPhone or a Blackberry are out of luck. The browser isn't compatible with RIM's Java-based operating system and the iPhone is out of the question because of "constraints with the OS environment and distribution," according to Mozilla. Mozilla doesn't cite any technical problems with Symbian, but it still hasn't any current plans to develop its browser on that operating system.